It is a ritual held at the annual spring festival of Shimogoze Sinmei Shrine. It is one of the strange festivals in Japan. 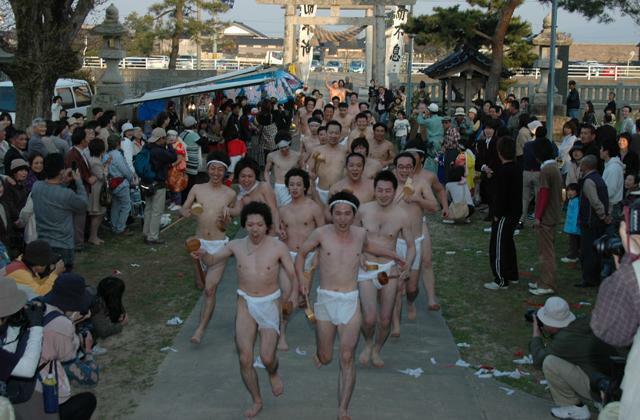 To pray for a perfect health, yaku-otoko (unlucky men) wear a loincloth and a headband, scramble to get sacred Sake from the priest with the dipper and give it to the worshippers and visitors. The event is also to pray for a good harvest.